The Congregational Administrator is a full time position responsible for the management of the UUS office, finances, and facilities. Emma’s major responsibilities include human resources, congregational communications, maintaining the church office, basic finances (processing deposits & expenses, financial record-keeping), and overseeing facilities usage, maintenance, and management. Emma supervises three part-time paid staff: the Administrative Assistant, Facilities Coordinator, and Building Steward, and coordinates with facilities and administrative committees, teams, volunteers, and vendors/contractors. 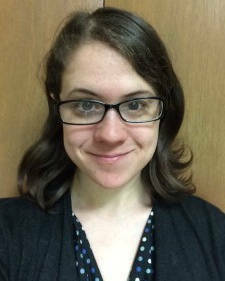 Emma joined the UUS staff in the fall of 2012, immediately after graduating law school. She also holds a degree in Cinema and Comparative Literature, both from the University of Iowa. Emma has previous experience volunteering at RVAP and as a student intern at the UI Legal Clinic, and currently serves on the board of FilmScene. Emma and her husband Sam live on the Northside of Iowa City with their two young children (Dean and Henry) and two cats (Moxie and Iggy). She loves reading and binge-watching tv shows (both mostly sci-fi and fantasy), and is an amatuer baker, gardener, hiker, and crocheter. Emma and Sam own and operate Brass Ring Coffee, a local small batch coffee roastery that vends at the Iowa City Farmer’s Market on Saturdays.